Day Tour App using PayGenius online Wallet. PayGenius processes payments for African Eagle and developed a tablet solution for the guides to collect payments and purchase tickets on the go. Each merchant has a PayGenius wallet. 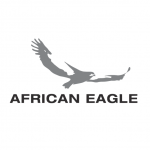 The guide transfers money from African Eagle wallet to the merchant wallet and print a receipt. No cash. No queues. High transparency. PayGenius transfers automatically the money to the merchant’s bank account. The merchant can access its payment history 24/7 via his dedicated online portal.